I am struggling with something. I am not a church-going person—I have not attended Sunday Mass regularly since I was in high school—but I do consider myself Catholic and I do believe in God. I was married in church because my husband and I thought it was important. My sons were baptized because I wanted God to watch over them as well as give them a faith to follow. So here is my dilemma: It’s time to sign up Ryan for ﬁrst Communion classes, and I’m confused about where to go, or if I should enroll him. I’m at a loss and curious what people think. Based on her Facebook post, Jamie is like many young parents coming to terms with their lapse of faith. They wonder what they should do now that they have children of their own. ✱ Do I baptize my child because Grandma will be upset if I don’t? ✱ We were raised Catholic, so that’s just what you do, I guess. 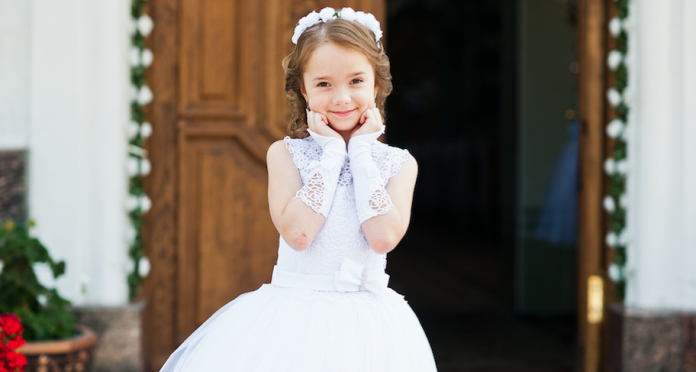 ✱ We’ll send our child to faith formation until they “get Communion,” and send them back when it’s time for confirmation— then we’ve done our job. ✱ We’ll let our children decide for themselves when they are older. We don’t want to force religion on them. ✱ We’ll send our kids to a Catholic school. They will go to Mass each week during school and learn religion there. Catechists hear time and time again that parents are the primary educators of their children in the faith. This is very true. On the positive side, we always want to affirm parents who are sincerely trying to hand on the faith in their families. Yet we also know there can be a negative impact if parents don’t teach, pray, and live by example by going to Mass and receiving the sacraments. They end up teaching their children that these things are not important. Many parents who come to our parish programs find themselves with the same quandary Jamie has. How do we start to reach parents like Jamie as we meet their children? 1. Look at all sacramental preparation programs as opportunities for evangelizing, catechizing, and sparking reversion in adults as well as children. No matter how the parents in your parish may feel about faith formation, sacramental preparation programs remain an excellent invitation for all families to grow closer to Christ. The new evangelization calls all Catholics to look at their faith in a new way and recommit themselves to the life of the Church. Redouble your efforts to provide friendly teaching and prayer opportunities for adults alongside their children’s programming. 2. Welcome, welcome, welcome! As a catechist, you will likely encounter parents who are not Catholic or Christian, or who may be non-believers. Maybe these parents are supporting their Catholic spouse in raising their child Catholic. Whatever the reason, a parent approaching the church to register or take part in something with their child should be greeted and welcomed. Sacramental prep is a great opportunity to express God’s love and the Church’s desire to invite adults and their children to draw closer to Christ. 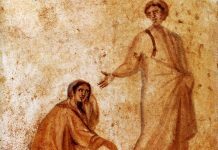 Avoid any semblance of guilt trips, uninvited apologetics, or setting up hoop after hoop to get to the “finish line” of the sacraments of initiation. Work to dispel any notions that faith formation is busy work and that being Catholic is all about rules and regulations. 3. Be alert for the deeper question within someone’s simple question or comment. Be available to each parent to answer any question he or she has about the sacramental program, or being Catholic, or their own inquiries (and insecurities) about a return to the faith. An adult might need information about completing the reception of sacraments themselves. It’s not unusual to have a parent ask questions unrelated to their children, including the possibility of how to petition for an annulment, or having their marriage “blessed” by the Church (formally called convalidation). I remember a parent once saying during their child’s first reconciliation ceremony that God would never forgive her for her sins. With a little encouragement from the parish priest, she received the sacrament herself on the same day as her child, more than 20 years of being away from the Church. All things are possible with God! 4. Recall the bond our baptism gives us. Whether you are speaking to Catholic parents or children, one thing we all have in common is our baptism. Ask parents to think about the stories they have heard about their own baptism as well as recall the baptism of their child. Read them the questions the priest or deacon asked them about raising their child in the faith. Remind them of what they asked of the Church (baptism) and the fact that they are indeed models of faith to their child, one way or the other. 5. Make meetings meaningful. Whenever you have a parent meeting, assume you may have non-Catholics in the group. Prepare for that by offering a brief summary of the sacraments of initiation in simple, nonjudgmental language. Plus, it never hurts to review the basics with the Catholic parents, as well! Remember, we don’t need to apologize for being Catholic, but we need to be respectful of others’ beliefs who may be present. There might be people at our meetings who will inquire about our beliefs later on as they think about what you’ve shared. Look at every conversation and meeting as an opportunity to open a door for Christ and the Church. Entry points in the faith often start by people making positive connections with the people they meet in church. We can’t pretend that parents like Jamie don’t exist. We need to provide points of contact and inquiry with love and respect. Parents are the primary educators in the faith for their children. Let’s give them all the positive resources and encouragement we can! Let’s make preparing for the sacraments an opportunity for conversion, reversion, and drawing closer to Christ and his Church. David Dziena is the editorial director for Pflaum Publishing Group. He has worked in catechetical publishing for 20 years, plus served as a catechist, DRE, youth minister, and adult faith formation director for parishes in New York and Texas.